Archives for November 2017 | Evelyn Mc Marketing! 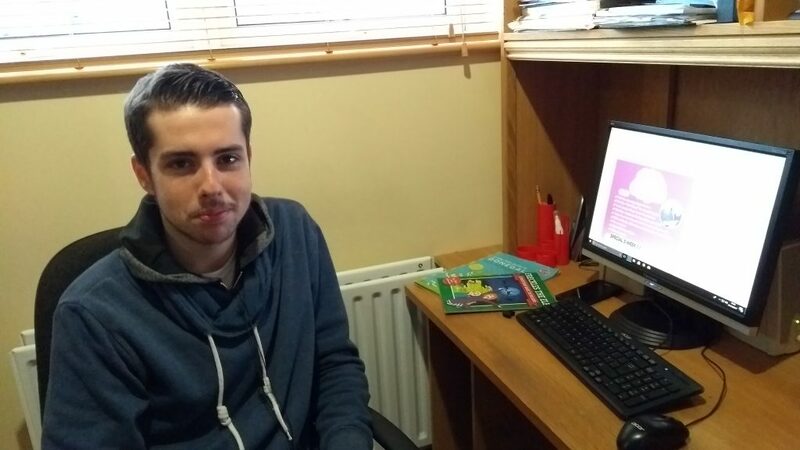 My First Ever Blog – Meet Kieran. Hi there, my name is Kieran Blockley and welcome to my first ever blog post! I’m not used to talking about myself much, so take it easy on me while you are reading this. I am 21 years old, son to an Irish born mother and an English born father, born in Birmingham, England and moved to Letterkenny, Co. Donegal with my family when I was 7. In March this year I began a Digital Sales and Marketing course, this course runs for 45 weeks and one of the requirements is to go on work placement with a business, so we can put our training into practice. I started my work placement with Evelyn Mc Marketing where she began to teach me lots of useful tips and important lessons in the world of marketing from day one. As I enjoy doing things like video and image creation and editing, Evelyn had me create different graphics for her clients such as for Donegal Mammy as shown below. Evelyn showed me how to create content through social media, by engagement of Donegal Mammy followers. Asking for favourite and common sayings that mammy in the county say and we then designed graphics to use on all social media platforms..
My time with Evelyn so far has been invaluable in terms of experience in the world of real life marketing and with her permission (!) I have compiled some of her Top Tips that I would like to share with you today. Top Tip 1: Always record what you learn. Pen/paper, digital diary, whatever you use, make a record of what you learn every day… Who knows when you might need those notes or adapt an idea from something you have learnt. Top Tip 2: Rest is for another time….. To be honest she never actually said this to me but the way she is always so busy, I believe that’s something she would tell me. I am still waiting on when the “other time” is..
Top Tip 3: Don’t be afraid to fail. This is personally my favourite tip as it is something that holds a lot of ideas back from ever seeing the light of day. One of the best ways to learn is through trial and error, seeing something doesn’t work, learning from it and trying again. Top Tip 4: Everyday is an opportunity to learn something new and widen your skill range. I can really relate to this, as one day I hope to get a job in Digital Marketing. Evelyn believes it is important to be creative and make an effort, with so much digital information there is no excuse not to learn . The amount of links she has sent me would fill an entire blog post! So that’s it, I am with Evelyn for another few weeks. I am enjoying the placement and really learning as I go along. I hope to create a video before I finish up so maybe I will come back to you and let you know how that goes. Thanks for reading my first ever blog. Blogging is really much easier than I thought it would be. Evelyn thinks I should go and set up my own blog.. any ideas what I should start blogging about?